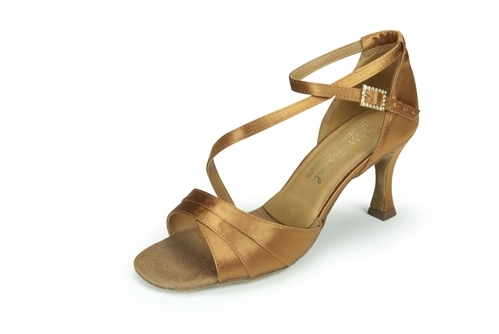 The 'Karina' in Tan Satin is a popular style within our Ladies Latin Collection. Available on our 2½" IDS and Ultra Slim heels, the model is a stylish one, with a unique strapping design which gives the style a distinctive look. If you'd prefer a different heel, or another material, then please get in touch. Read the description below to find out how we can tailor our styles, just for you.